Jack Grealish's Aston Villa exile continues with Remi Garde confirming he has left the youngster out of his squad for a second successive game. 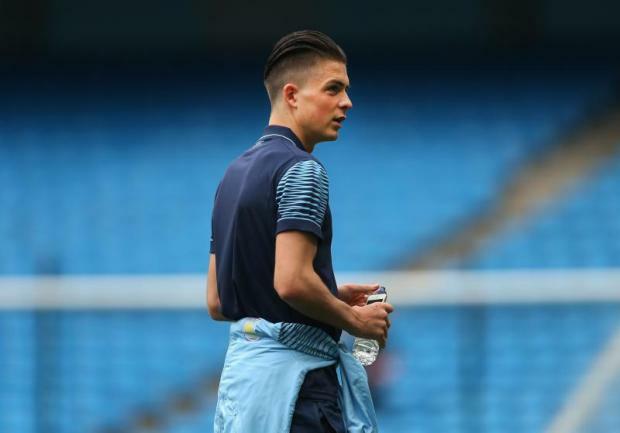 Grealish was dropped to the Under-21s after he was pictured partying with friends following Villa's 4-0 defeat to Everton at Goodison Park on November 21. He was subsequently omitted for last weekend's defeat at home to Watford, which left the Midlands side seven points adrift of safety at the bottom of the Premier League. But, despite Villa's struggles, Garde has decided not to recall the highly-rated 20-year-old for Saturday's trip to Southampton. "He has trained this week with the Under-21s because it was the plan. He knew that," said Garde. "I know when he might return, he knows as well and when he will I will tell you. "Like every player Jack made a mistake and he has to pay the consequences for that. If another player does something wrong he will have the same treatment. With Ciaran Clark suspended and Micah Richards struggling with a knee injury, Jores Okore is expected to return in defence for Villa at Southampton. Forward Gabby Agbonlahor could also make a comeback after a month out with a calf problem. Garde added: "We are still in a bad position - not a crisis - we know we have to win games and didn't win the last one, we're disappointed because we should have had better result (against Watford). "The performance of the players pleased me but we made too many mistakes to win."